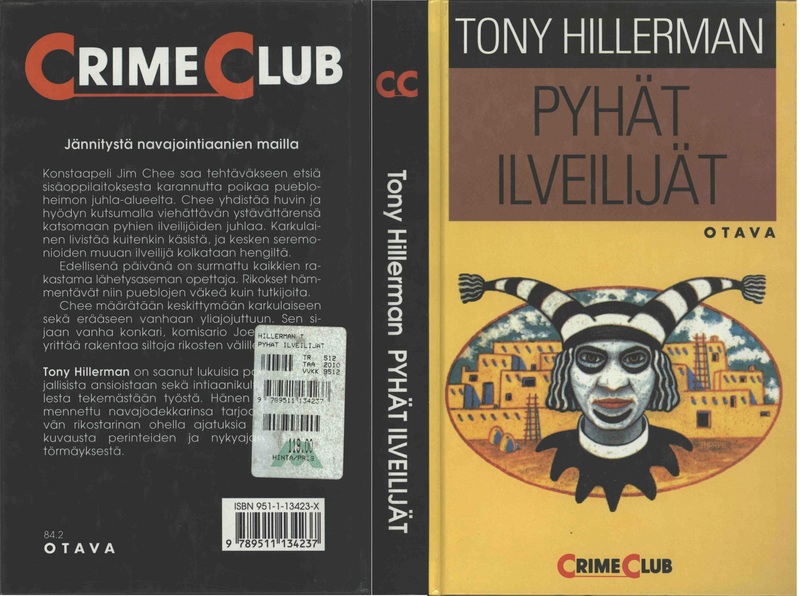 This is the full and detailed views of the Finnish hardback edition of Sacred Clowns, published by Otava in Helsinki, Finland. This edition is a Crime Club novel. 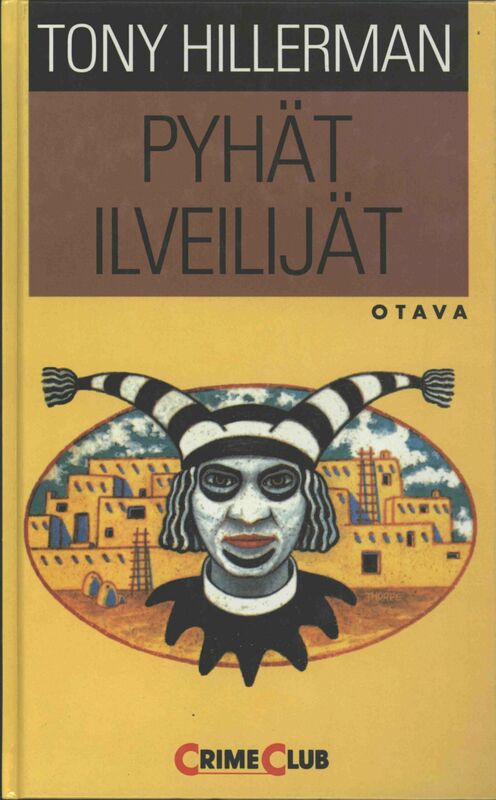 The text was translated into Finnish by Ilkka Terho. Cover design and art: The cover design is not credited but reproduces the cover for first Harper Collins edition created by Peter Thorpe. The cover depicts a koshare or Pueblo Clown with an Ancient Pueblo house behind the clown.